A luxurious lipstick with ultimate color radiance and a hydrating, long-lasting formula encased in a mirrored, jeweled compact. Rouge G provides instant lip definition and a completely smooth lip surface. Lips are intensely colored, perfectly smoothed and moisturized. Apply directly to the lips daily or, for a more sophisticated look, apply using a brush. Draw the shape of the lips with the Stylo Lèvres, Guerlain Lip Liner. Apply Rouge G directly to the lips. 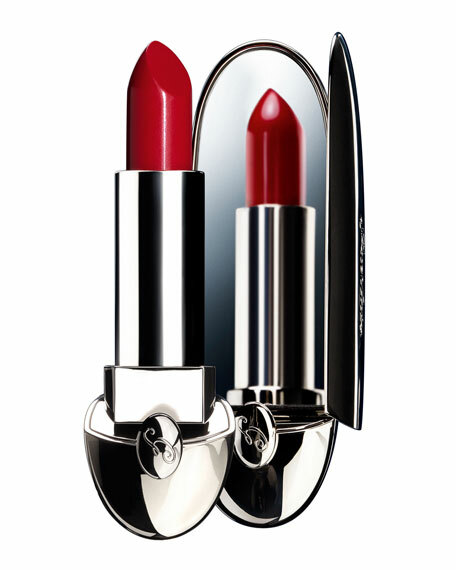 With Guerlain Rouge G, lips are intensely coloured, ultra-sophisticated, excessively perfect. For in-store inquiries, use sku #230456.